Jessica has just sent me these stunning photos from her wedding in Port Douglas last month. 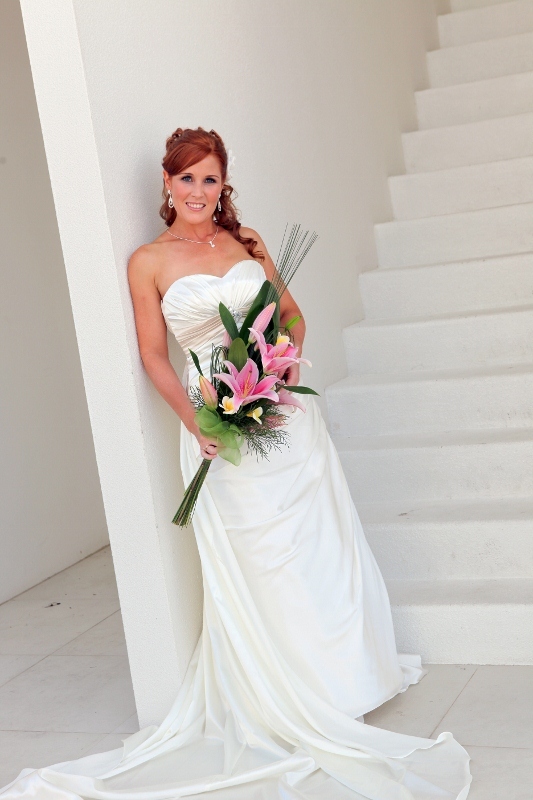 Soft curls, a floral hair piece and Jessica’s natural red hair all offset this look beautifully. MAC’s fluidline creme eyeliner really helped define Jessica’s eyes, making them pop. Finesse Makeup offers a complete Cairns wedding makeup and hair styling service for your home, hotel room or salon. We are a mobile service travelling from the Daintree to Mission Beach and the Atherton Tablelands. 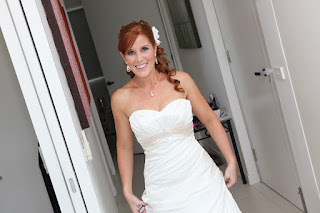 Read more about Cairns and Port Douglas wedding makeup by Finesse Mobile Makeup.